Welcome to the far east. Where Newfoundland and North America begins. Where the sun shines first, at Cape Spear Lighthouse National Historic site, just a few kilometers outside the historic, yet contemporary, capital city of St. John’s. The Avalon Peninsula is not only scenically stunning, but it’s also a place full of natural wonders; icebergs drifting along coastlines, groups of whales frolicking, migratory seabirds nesting on cliffs, and caribou roaming. As the oldest region to be settled, the Avalon is full of the legends, lore and history of the early adventurers who first laid claim to the New World. It’s home to bustling urban centres like St. John’s, a city perched on the edge of nature, surrounded by scenic beauty and wildlife. From the downtown vibrancy of a city embracing both the old world and the new, full of music, boutiques, art, culture, quirky architecture and scenic walks, to charming, historic, outport communities gathered around its coast – the Avalon has something to offer every traveller. It is a land of firsts. It was where Marconi ushered in the modern era of long-distance wireless communications by receiving the first transatlantic signal atop Signal Hill in 1901. 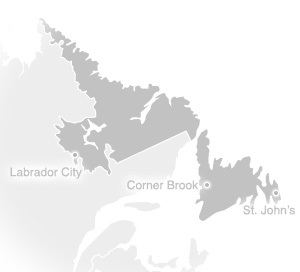 And, of course, it was here the oldest city in North America, St. John’s was founded. The Avalon bears a fitting name, reminiscent of the legend and romanticism of its misty, Arthurian Island counterpart. It is also home to the East Coast Trail which, with hundreds of kilometres of scenic hikes, is perfect for exploring our stunning coastline. This is a place full of beauty, cultural depth and the rugged drama of a seafaring peninsula that has weathered trials, triumphs and everything in-between.